NOVA professionals are hard at work at the Springhill Suites, Panama City Beach, project site. 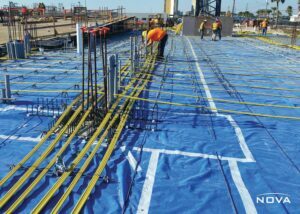 We’re getting up close and personal with slab reinforcement and post tension layout prep work for upcoming concrete placement. NOVA is providing construction materials testing and threshold inspection services for the Developer.